A beautiful, white smile can project friendliness and confidence. If your smile is inhibiting you and lowering your self-confidence, then it might be time to visit cosmetic dentist Dr. Bruce Stewart. Dr. Stewart, along with Dr. Eric Hull, excels in cosmetic dentistry—the science and the art of giving people the smiles they have always wanted. Creating a beautiful smile can be complicated; you want results to be something you’ll be happy with for the rest of your life. Dr. Stewart’s years of experience and countless happy patients make him an industry leader in cosmetic dentistry, and we’d love nothing more than to have you come in so we can talk about how to give you that cosmetic dental smile makeover. Porcelain crowns are very strong and durable laboratory-fabricated restorations made of porcelain which cover all surfaces of a tooth and are bonded into position with a special adhesive resin material. They are used to cosmetically change or enhance your smile, to restore cracked and fractured teeth, and to restore large areas of decay and old amalgam fillings. Since there is no metal in an all-porcelain crown there is never a dark shadow at the gum line. Porcelain crowns are absolutely beautiful and a natural-looking cosmetic dental restoration, rivaling the best nature can provide. Implants are used to replace missing teeth. A titanium steel post (implant) is surgically inserted into the jaw bone several millimeters below the gum surface. After healing an abutment is screwed into the implant, and then a crown is bonded onto the abutment. This provides strength and stability to the implant crown and results in a “tooth” that is natural in feel and shape, with no metal showing. Porcelain veneers are a very strong and long-lasting laboratory-fabricated thin shell of porcelain bonded to the front surface and biting edge of a tooth with a special adhesive resin material. Veneers cosmetically change or enhance your smile by lengthening, lightening and reshaping teeth while conserving tooth structure. 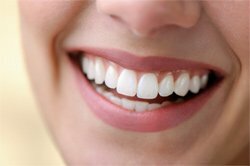 Whitening is a process that oxidizes stain and other colors that cause teeth to darken. Vacuum-formed trays are custom made to fit precisely over the teeth. Bleaching gel is placed into the trays and the trays are worn for several hours throughout the day or night. 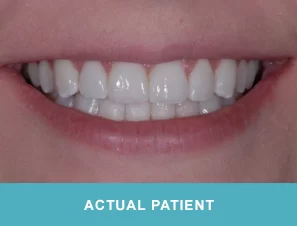 We tailor the strength of the bleaching agent and the amount of time a patient wears their trays based on their individual needs. Teeth progressively become whiter over a period of about two weeks. We also offer in-office Zoom bleaching, which completes the bleaching in one cosmetic dentistry appointment. Schedule a Cosmetic Dentistry Appointment in Comstock Park Today! Contact us today at our Comstock Park office to learn more about our cosmetic dentistry services or to schedule an appointment with our cosmetic dentist if you are in the Grand Rapids area, including Rockford, MI!